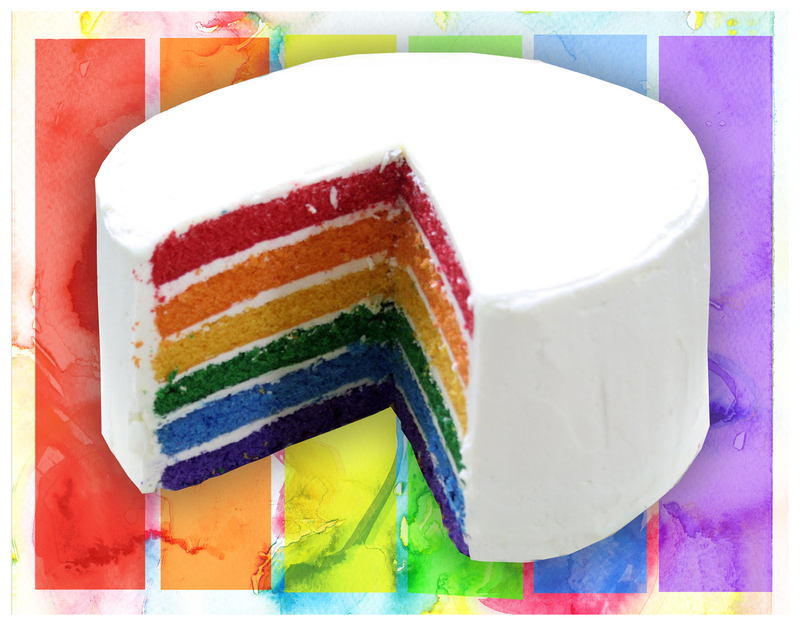 This cake is similar to my Rainbow Cake below and you can find full instructions for it here. 1. 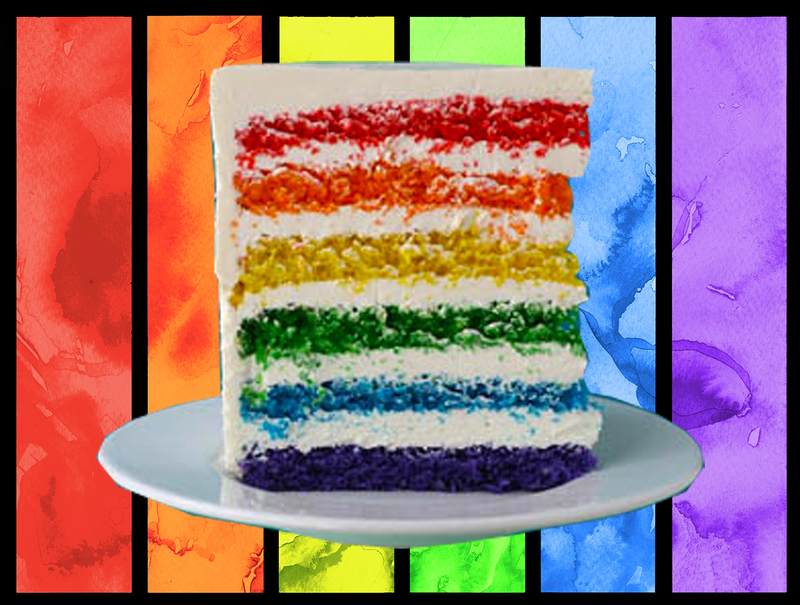 The Rainbow Layers. They can be a big surprise if the recipient and/or guests have no idea what is inside. 3. 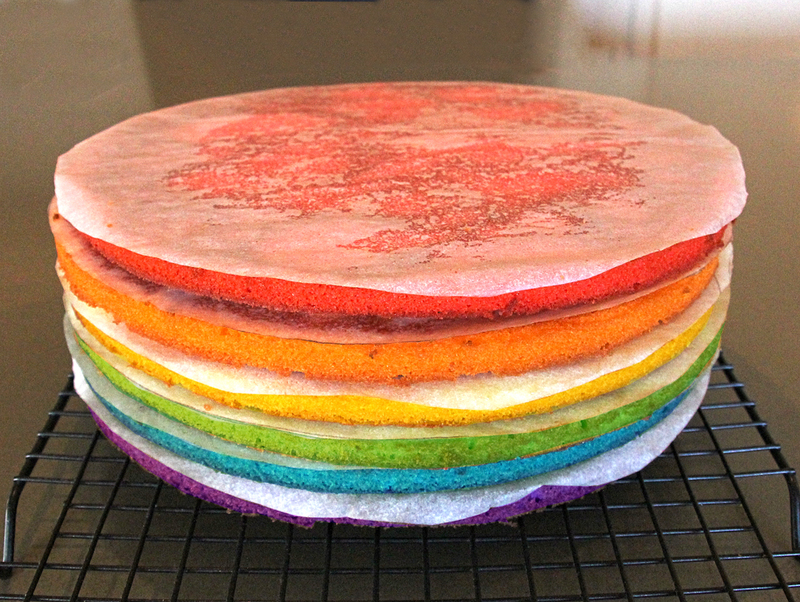 You can make this cake even if you do not have 6 x 10″ round cake pans. I have 2 x 10 inch pans and I bake the layers in 3 batches. You could make do with just one pan, it will just take a little longer. Colours of the rainbow Red, Orange, yellow, green, blue and purple. I used 2 x 10″ pans as that is all I have. Grease and line bases of both cake pans with one thickness of baking paper. Divide the batter equally amongst the 6 bowls. Weigh your mixing bowl before you begin adding ingredients and then subtract the weight of the bowl from the final measurement after the batter is completed. 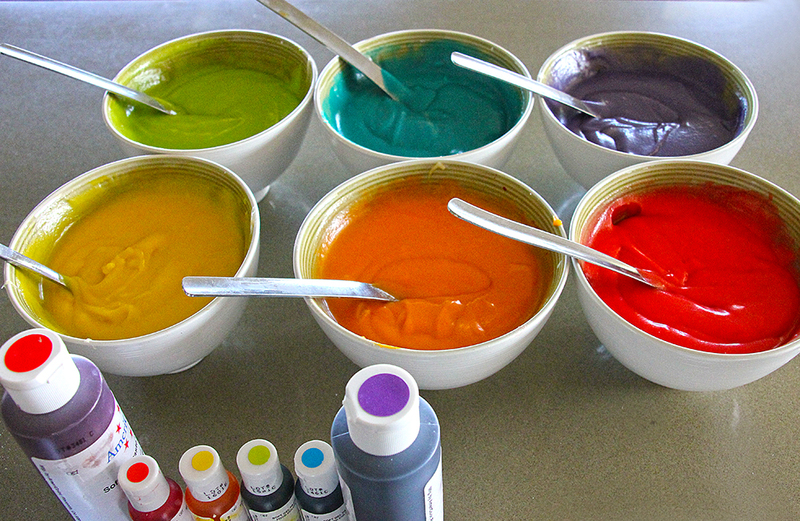 Divide that number by six and add that weight of batter to each bowl, and then whisk a fair amount of the appropriate food color into each bowl. Keep in mind that the color of the unbaked batter will be the color of the baked batter. Pour into the pans and bake for 15 minutes each or until a skewer comes out clean when poked into the middle of the cake. 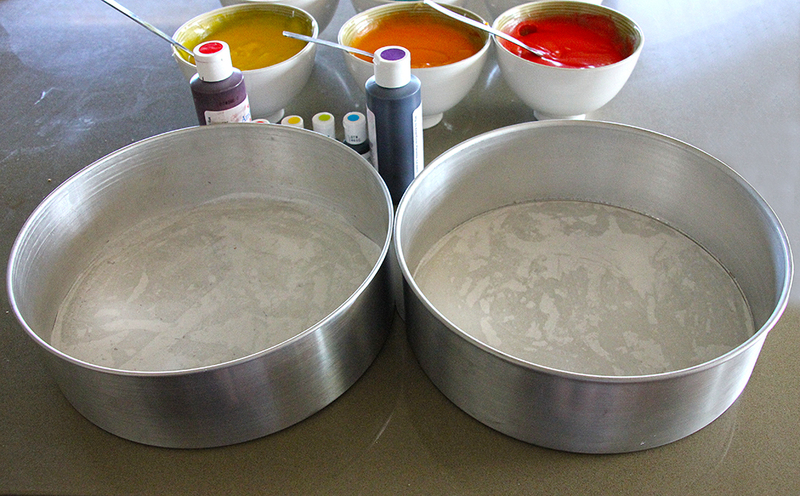 Once cake pans have been washed, repeat the process twice more till all 6 layers have been baked. 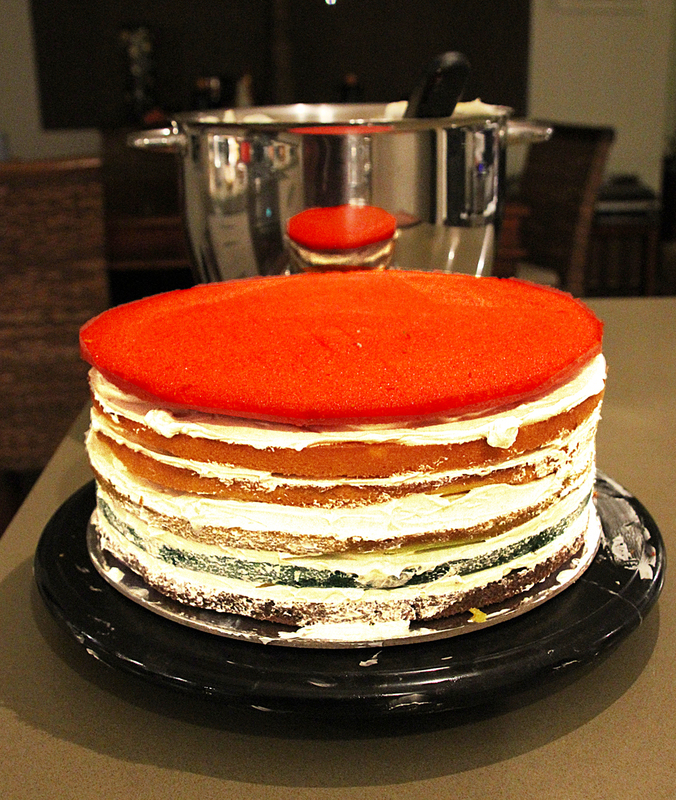 As you can see from the recipe, this cake requires a huge amount of buttercream to fill the layers and cover the outside. 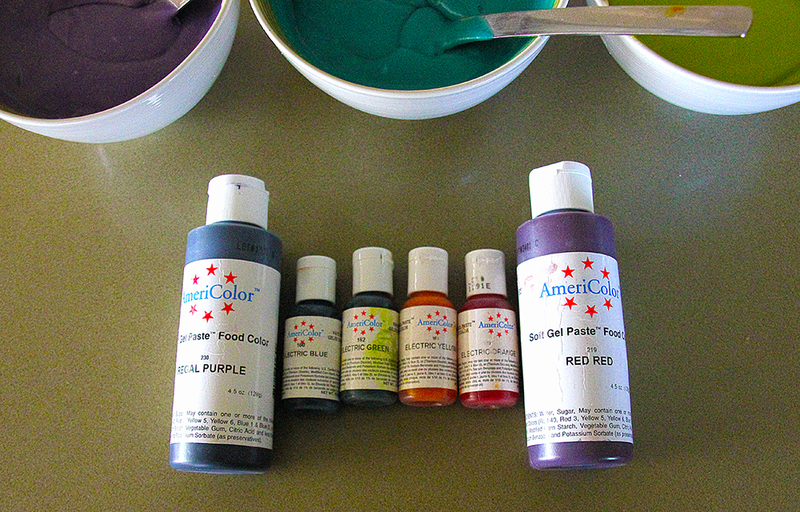 I would recommend that you make the buttercream in two separate batches ( 1. To fill and crumb coat. 2. To frost) because you would need a HUGE bowl to make this much buttercream at one time! Please click here for a step-by-step guide to making Swiss Meringue Buttercream and troubleshooting tips! Cook the egg whites and sugar in a small saucepan over medium heat, whisking constantly, until the sugar is completely dissolved (test by rubbing some between your fingers. If it’s completely smooth, it’s done). Pour into another bowl (a stand mixer is preferable) and whip on high speed until room temp. Then, on a medium-slow speed, add the butter, waiting until each piece is completely incorporated before adding the next. After all the butter has been added, turn the mixer back to high speed and whip until it has come together, about five minutes. Add the extract, beat briefly and then use. If the buttercream seems soupy after all of the butter is added and does not come together after whipping, refrigerate for 5 to 7 minutes and continue whipping until it becomes fluffy and workable. 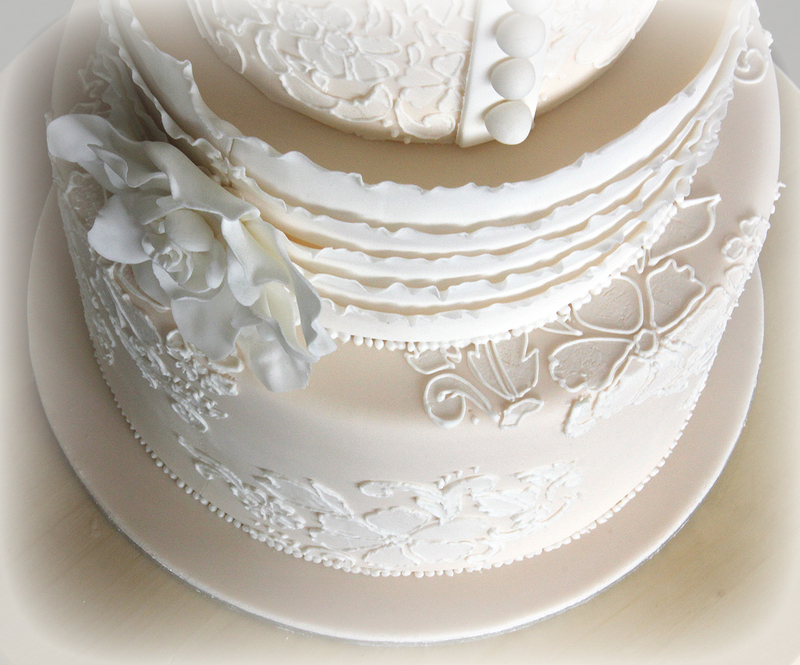 Stack the layers in your preferred order and fill and frost as you would any other cake. 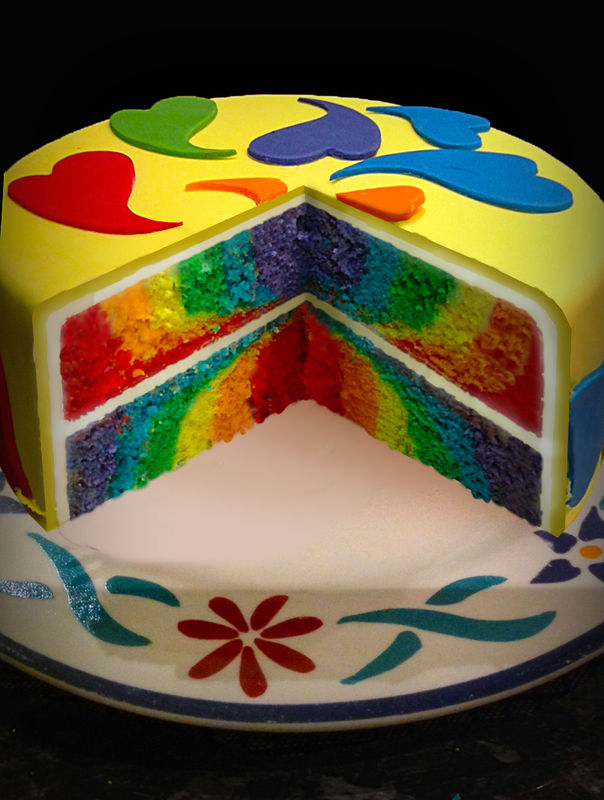 Once frosted, the cake can be left on the counter without any problems, but feel free to refrigerate it. 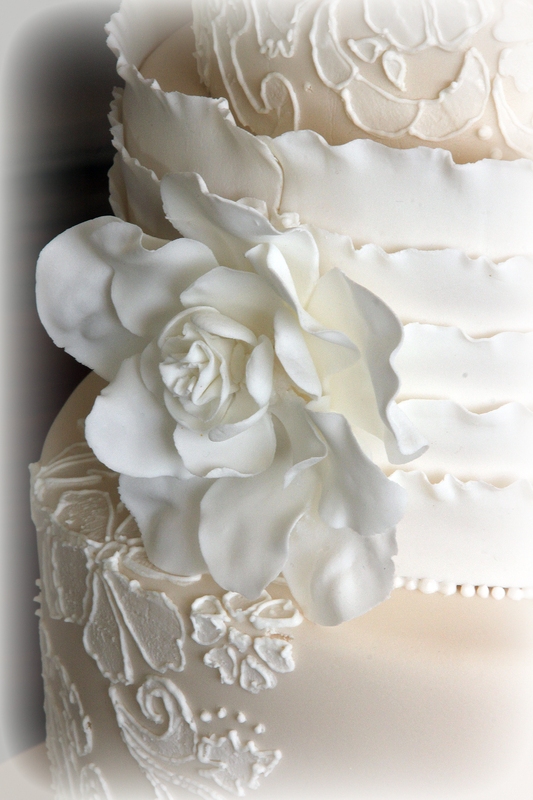 Just be sure that the cake is at room temperature when serving or the frosting will be hard.